Asif Ali Zardari has refused to submit details of his assets to the Supreme Court. 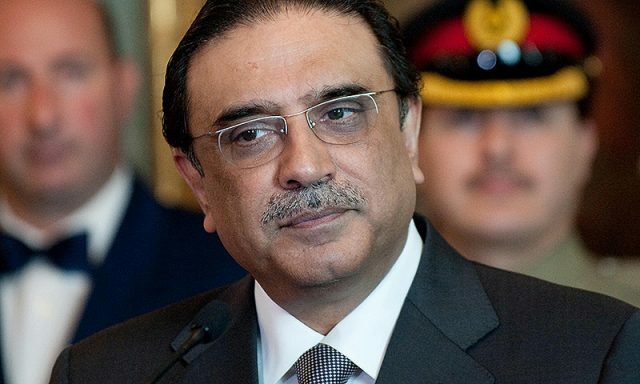 Zardari, in a review petition, has said that the court orders violate Articles 4 (right to be dealt in accordance with the law), 175 (jurisdiction of the court) and 187 (execution of the court’s orders) of the Constitution. On August 29, the court had ordered former presidents Asif Zardari and Pervez Musharraf to submit the details while it was hearing a case on the National Reconciliation Ordinance. The PPP leader said that he was proven innocent in the case. The burden of proof does not fall on me, he remarked.